Here are links to the upcoming School Board and committee meetings: School Board of Education meeting agenda for Wednesday, April 16th at 7:00pm in the LMC.Special School Board of Education meeting agenda for Thursday, April 17th at 6:00pm in the LMC. 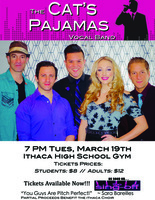 Cat's Pajamas Vocal Band Meow-sic in Schools Tour is stopping at Ithaca High School on March 19th! Cat's Pajamas got their start in an Oreo Cookie jingle contest and have competed in NBC's The Sing-Off and America's Got Talent. Tickets are $8 for students and $12 for adults, and available through Mr. Braatz or at the door. 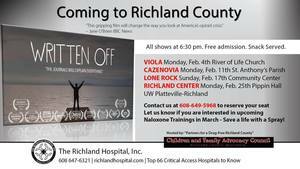 Partial proceeds benefit Ithaca Choir. Reminder! 4-K Screening will take place soon! Here are the links needed to download our App.